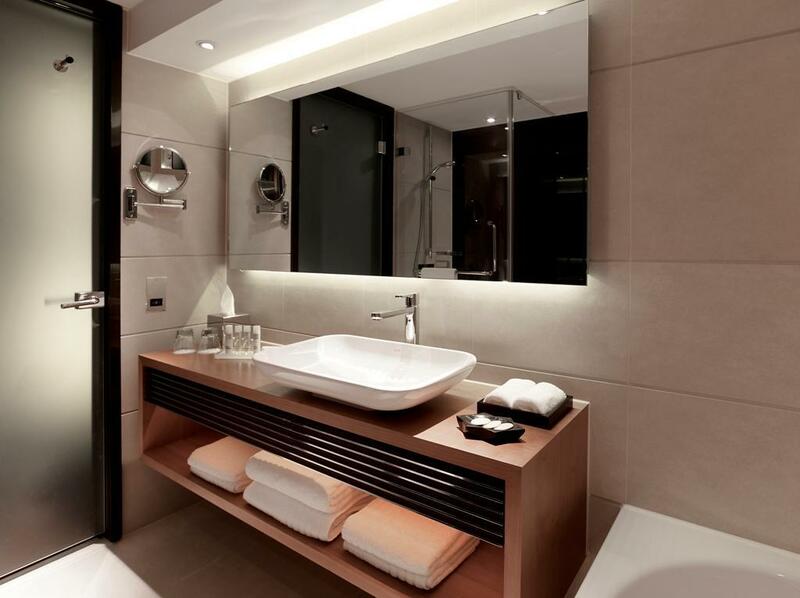 ﻿ Park Plaza Westminster Bridge Hotel London. JIMAT di Agoda.com! 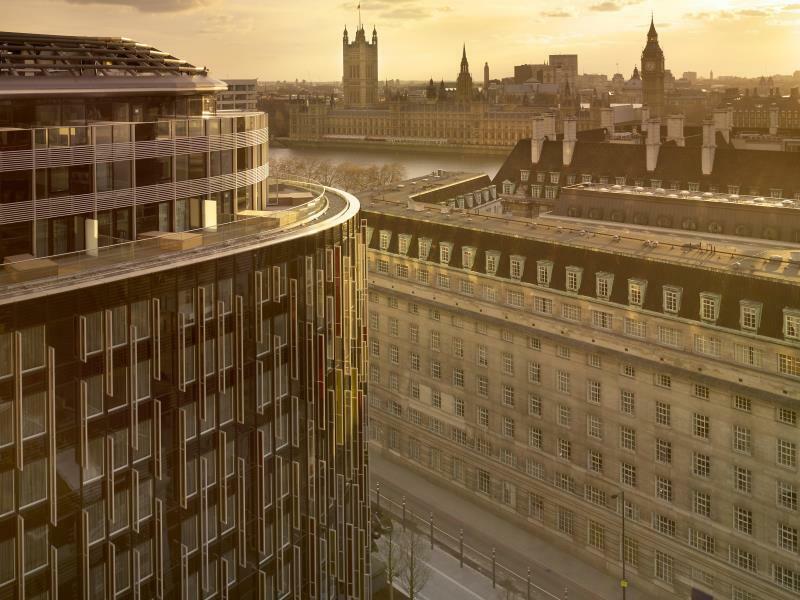 Ada soalan mengenai Park Plaza Westminster Bridge Hotel? Direka untuk kedua-dua tujuan perniagaan dan percutian, Park Plaza Westminster Bridge Hotel terletak di lokasi strategik di Waterloo dan Southwark; salah satu kawasan yang paling popular di bandar tersebut. Dari sini, tetamu boleh menikmati akses mudah kepada semua yang bandar meriah ini boleh tawarkan. Pelawat yang datang ke hotel boleh melawat tarikan utama di bandar ini seperti: Leake Street Tunnel, Muzium Florence Nightingale, Akuarium Hidupan Laut London. Kemudahan dan perkhidmatan yang disediakan oleh Park Plaza Westminster Bridge Hotel memastikan penginapan yang menyenangkan bagi para tetamu. Hotel ini menawarkan pelbagai kemudahan di lokasi untuk memuaskan hati tetamu termasuk yang arif. 1019 bilik di sepanjang 15 tingkat menyediakan suasana nyaman dan menyenangkan. televisyen skrin rata, karpet, kopi segera percuma, teh percuma, linen boleh didapati di beberapa bilik. Sepanjang hari anda boleh menikmati suasana yang santai dengan pusat kecergasan, sauna, kolam renang tertutup, spa, rumah urut. Kemudahan yang hebat dan lokasi yang sangat baik membuatkan Park Plaza Westminster Bridge Hotel menjadi asas yang sempurna untuk menikmati penginapan anda di London. Jika tempahan dibuat untuk 9 bilik atau lebih, polisi berbeza dan tambahan akan dikenakan. Our first time at Park Plaza Westminster Bridge. Ours was a birthday visit with my elderly mother and family friend. Great studios with view of the south London skyline. Unfortunately our booking wasn’t what we anticipated but as we were willing to pay for an upgrade it was eventually changed to better suit our needs. Lovely range of food available at breakfast and dinner. The service in this restaurant was professional and prompt. However on the whole the bar staff were less cooperative and security at the entrance early in our stay was a little over zealous. It’s spa facilities has a beautiful ambience but provided average treatments but as we combined the session with a swim (busy with young families) and enjoyed using both the sauna and steam rooms, we felt refreshed the next day. Generally we enjoyed our stay and would happily return. Thanks for taking the time to share your review Delta, I appreciate you highlighting both the positive and areas for important. I hope have the pleasure of welcoming you back again in the near future. hotel front counter checked me in a room that is still under cleaning. kettle was dirty but they brought me a clean one after my feedback. location is good and near to train station, big ben, london eye. room is spacious. satisfied overall. They could not solve any of the problems we reported. The bathroom was flooded when using the shower. We notified the problem three times and could not fix it. The second day they forgot to fix our room and when we called were told that at that time they did not have cleaning staff. When we arrived at the hotel in the front desk they sold us a room upgrade with a view of the BiG Ben. We accepted the change and looking out the window we saw that the Big Ben was completely covered because it is being repaired. A fraud. Beyond these problems, what bothered me the most was that they all kindly apologized but did not ask to resolve to react properly. Of course, upon check out they charged us every peso as if they had provided excellent service. Do not go. Hotel is modern and room is spacious. I loved the location. I found it to be ideal and in walking distance to most sites. Breakfast could have offered more choices. Had to pay a nominal fee for waffles, pancakes, eggs benedict and omelettes. Those items should be included since you are paying an additional amount for breakfast per day anyway. Thank you for your feedback and for taking the time to write about your experience. We are delighted to read that you enjoyed your stay. We look forward to your next stay. I booked a room with large bed atrium side through Agoda. When I came I was offered a room with twin beds in the other side. When I asked for a room as per my booking I was asked to pay an additional 50 GBP per night or take up the issue with reservations. Only after showing the front desk lady my booking papers she was ready to oblige. A poor taste in the mouth. When we entered the room we found empty drink bottles lying inside. The breakfast was excellent, so was the bar. Thanks for sharing your feedback, it was a pleasure looking after you. Large comfortable room and bathroom, friendly and helpful staff. Very convenient location to Royal Festival Hall, Big Ben, and other attractions. The nightly live music by different talented performers in the Primo lounge was an unexpected plus! Delighted you loved your stay with us Thomas. I appreciate you taking the time to highlight the team for their helpful service. It was a pleasure looking after you. Amazing! We have just stayed as a group with 4 different rooms. All rooms were fantastic. This is quite a new hotel so no issues with anything. We’ve stayed in many London hotels and this has been our favourite. Fantastic breakfast. Lovely staff. Can’t wait to book again for next Christmas! Wow, thanks for the amazing review Emma. We will look forward to welcoming you back next year! My family stayed 1 night. It was very strategic location for taking a walk to West mindter, St. James park, Buckingham palace and London eye. But poor bathroom need to fix. My wife got angry with stupid temperature & presure of shower water. The hotel is almost equidistant from to main underground stations which then can put you anywhere in London. The staff is all amazing and all very helpful. The concierge is like an oracle ready to answer all your questions and give great instruction on how to getvto your destination . Thanks for highlighting the team for service. It was a pleasure looking after you and I hope to see you back soon. Fantastic view from the rooms on the front of the hotel. Well located. Second visit and will go again. Thanks for your continued loyalty John, we will look forward to your next stay. Breakfast needs more space as it is crowded and food options for vegetarians..
Large hotel near Westminster Bridge. Holtel clean with everthing you could wish for but not cheap. The food was first class and staff excellent. Thank you for taking the time to share your comments regarding your recent stay with us. Thanks for sharing your feedback regarding your stay with us back in January. I am sorry if there was a miscommunication regarding your reservation. We would love to understand what exactly happened as our internal records do not reflect. Feel free to reach out to us. Great location, only a 6-9 min walk to Westminster or Waterloo Train Station. Within walking distance to Big Ben, Westminster Abbey & London Eye. Great pool, steam room & sauna. Very modern gym with a variety of equipment for everything that you need. The machines are well maintained and are high tech. Used this gym every morning without fail. When you need assistance from staff, they are super quick to attend to your needs. Great stay. I would recommend! Hi Vanessa, Thank you for sharing your wonderful review on Agoda. delighted to see you loved the facilities in the gym, we had a full refurbishment at the end of 2017 so I am pleased you enjoyed using the equipment. I hope to see you back again soon. 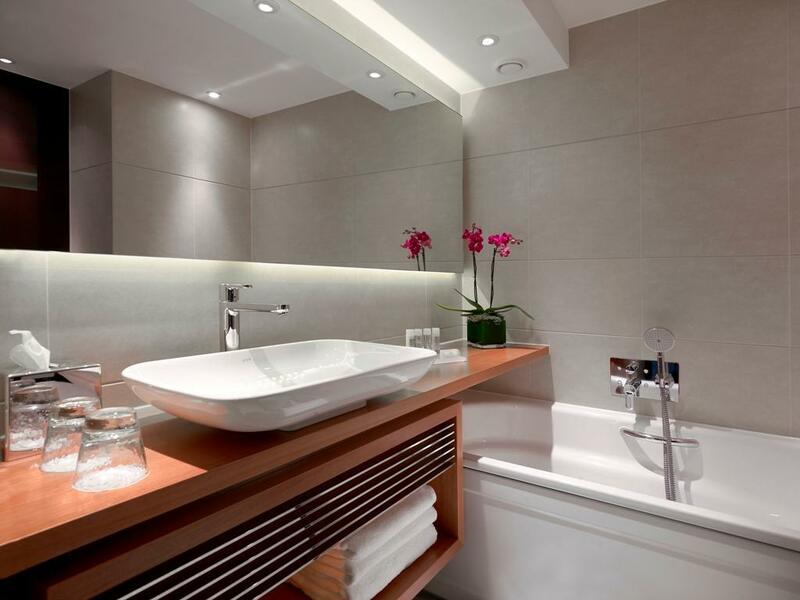 Modern hotel with large rooms, excellent shower and lovely elemis spa products. Good gym facilities and pool and although we didn’t have time to use the spa it did look nice and relaxing. We were given a very early check-in which was much appreciated as we had come after a very long flight from Australia. It is literally across the Westminster Bridge and there are 2 tube stations within walking distance making it a great base to explore London. The popular attractions including London eye and dungeon and Shrek are at your doorstop. HI Marian, Delighted to read that we were able to get you into your room earlier after your long flight. I am pleased you enjoyed your stay with us and I hope we have the pleasure of looking after you again on your next trip to London. Thanks for taking the time to share your feedback with us Carey. We aim to achieve the highest standards of guest service and I'm sorry to hear on this occasion we didn't meet your expectations in all aspects of your stay. Please be assured I have shared your comments with the relevant management team for their review and follow up. I hope we have the opportunity to welcome you back in the future to restore your faith in us. Walkable distance to Waterloo and Westminster stations. Exceptional front-desk services provided by the night-shift staff (the LATAM duo A&M! ), who had led us to a smooth check-in and resolved all of our queries. Sad , so many road blocks all around the hotel. Otherwise, the location is perfect! Only walking distance to Big Ben, the Parliament, Westminster Abbey, London Eye, Shreks Adventure, Thames River Cruise.. and so many Hop On Hop Off Bus to choose from. If that's not good enough, then i don't know what is. Thanks for the positive review Lucy, it was a pleasure looking after you. Hotel is about 5-min walk to Westminster underground train station & about 10-min walk to Waterloo train station, which has a lot of chain eateries & shops like M&S etc. The hotel is also just 5-min away from the London Eye and a further 5-10 min from the houses of parliament. Location is maybe its highest selling point. The room that we booked was spacious, with a separate living room for a a queen size sofa bed. Perfect for us as a we traveled with our son & my mother (both need space of their own, but are afraid of sleeping by themselves in a separate room). The interior is a bit quirky; a huge poster of a lady (head only, not whole body) covers up the entire wardrobe. As we sleep with all lights off, my wife found the lady staring at our bed a bit spooky when she sometimes woke up during the night. The bathroom door has no lock - not sure if it was deliberate or they forgot to fix it. A slight disappointment to find that guests need to pay extra £49 per night to be upgraded to a room facing the Big Ben. We had thought that our room would face the Big Ben when we booked it through Agoda -- the room was pictured as if it was overlooking Big Ben & it was one of the main reasons we booked this hotel. In the end we decided not to pay for the upgrade as that was our second leg in London before we flew back home. Thank you for sharing your feedback, I am sorry if the interior of your room spooked you a little, some of our rooms have a flower feature, next time let us know and we'll be sure to locate you in one of those rooms. Very friendly staff, location is very close to eye of London, waterloo station and Westminster station, close to parliament and big ban. I stayed at studio room facing the London eye. Breakfast was excellent and the rooms are cleaned every day. I enjoyed my stay.